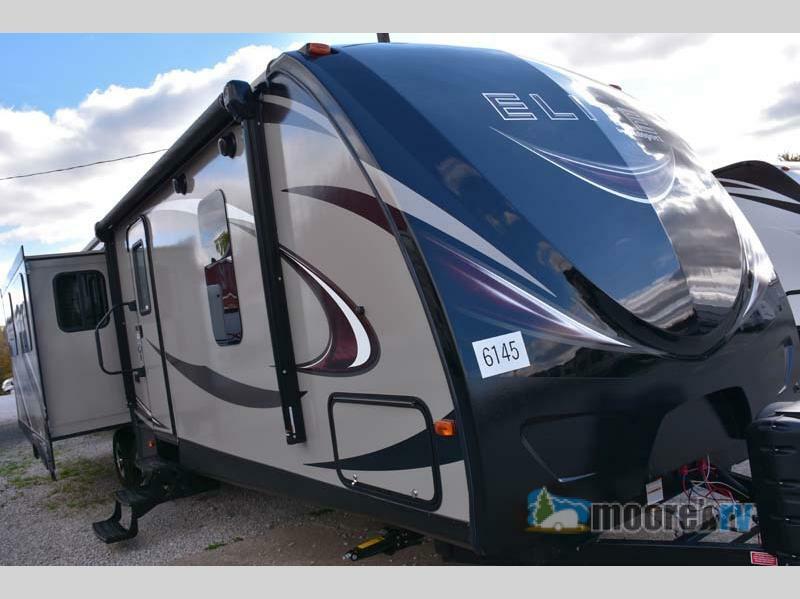 Right now, at Moore’s RV, you can get an the amazing Keystone Passport travel trailer for a fraction of the manufacturer’s suggested retail price. 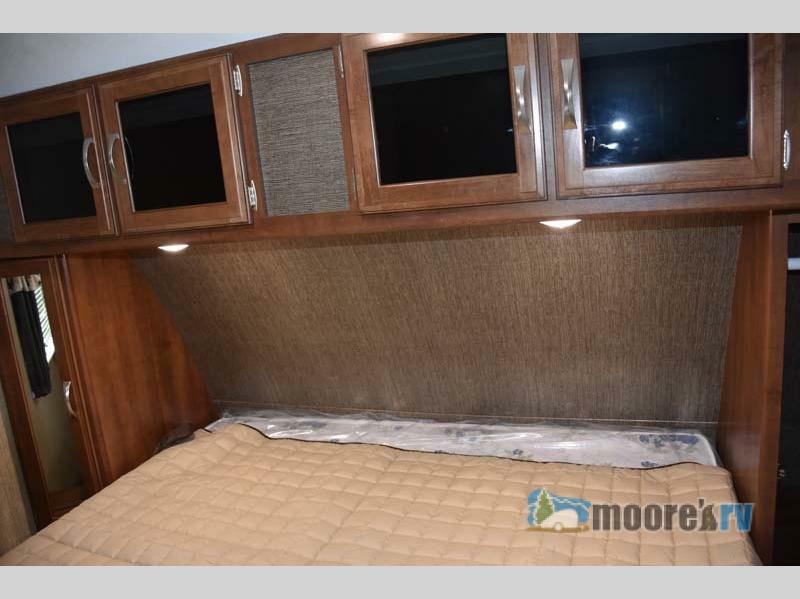 At our Bottom Dollar prices, you can find thousands in savings while still getting the same great RV. Plus, with thirty-one different Floorplans for Passport, Passport Express and Passport Grand Touring, plus five Floorplans for Passport Elite, you are sure to find exactly what your family needs. Save big on the Keystone Passport Travel Trailer! 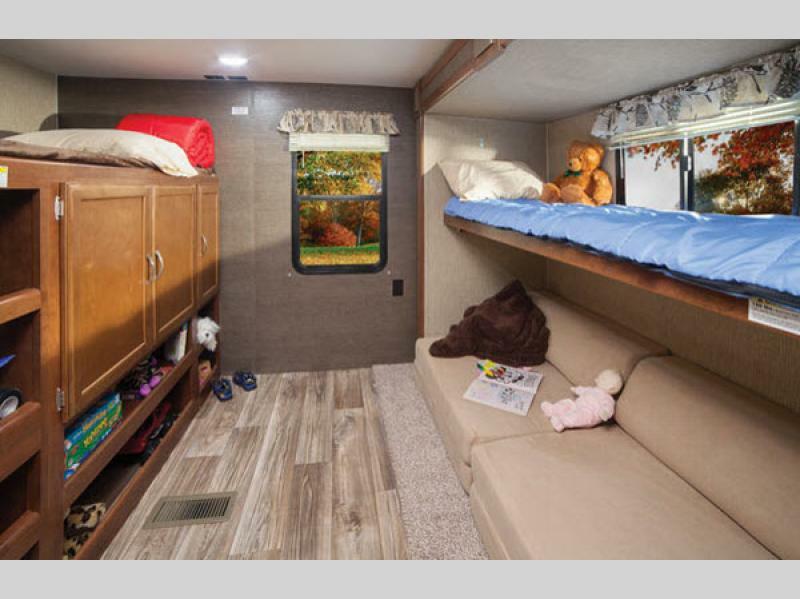 Depending on the Passport floorplan, you will have options that come with zero to three slides, and some will even have sets of bunk beds to allow you to sleep up to ten people comfortably. Let’s take a look inside to see what else this camper will give you. Find more sleeping space in bunkhouse floorplans. 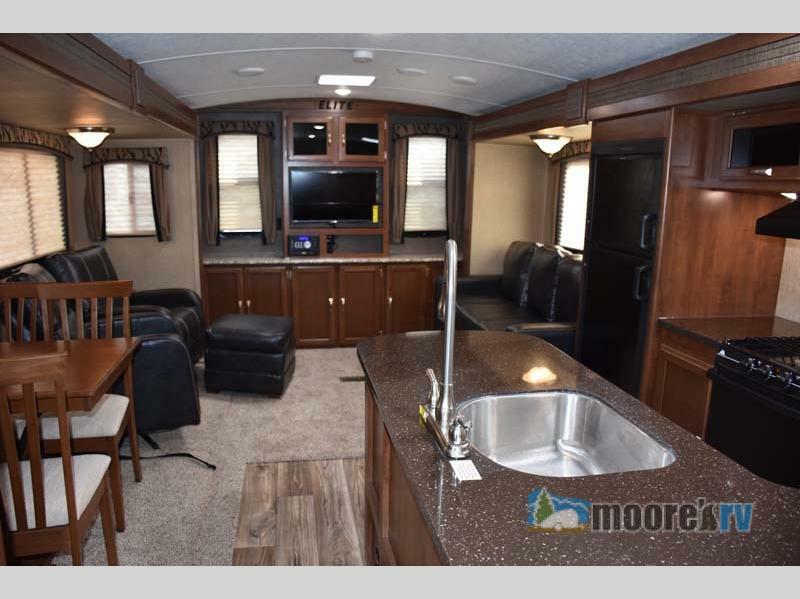 The main room of this Keystone is a combination kitchen and living room, and here you will have plenty of amenities to help increase the luxury on your next RVing vacation. The kitchen will be stocked full of residential quality appliances such as a double door fridge, three burner range complete with hood fan, and an oversized sink and metal high rise faucet. With these and so much more, cooking on the road has never been so easy. You’ll love cooking in the residential quality kitchen. To be even more reminiscent of your home, all of the living room furniture will be made to be the highest quality. 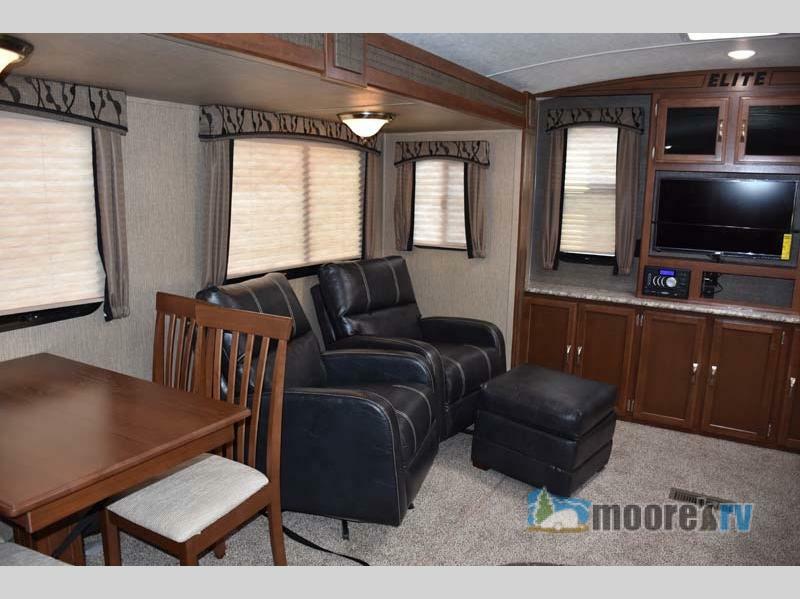 Everyone will have a comfortable place to enjoy the LED flat screen HDTV from the convertible dinette, dual chairs, or fold down sofa. Take entertainment along with the LED TV. The Keystone Passport is built to help you bring comfort everywhere you go, and one way it does this is by giving you a private bathroom. From the pedestal foot flush toilet to the tub and shower complete with built-in shelves, you will have everything you need right at your fingertips. The queen bed makes the perfect master retreat. The master bedroom is another space where you can find relaxation. Spend your evenings reading by the lights in the comfort of your queen bed. Plus, with the oversized wardrobes and storage under the bed, there will be space for all of your belongings. Each and every floorplan of the Keystone Passport travel trailer will come with high quality features for you and your family. And right now, you can save thousands to get. Contact us or stop by our location and take one home today!